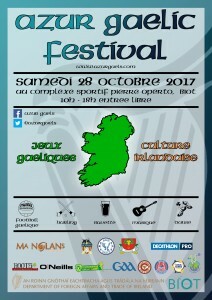 After the considerable success of the inaugural Azur Gaelic Festival last year, this magical exhibition of gaelic games and Irish culture will be back again on Saturday the 28th October 2017, from 10am till 6pm, at the Pierre Operto sports complex in Biot (free entry)! Jimmy Deenihan, 5-time All-Ireland winner, is also coming back as patron of the festival for the second time running. All followed by dinner and after-party at Ma Nolan’s Irish Pub, Nice Port! In addition to our much-loved partners, not least Ma Nolan’s Irish Pub, Decathlon Pro, O’Neills, Roots Bar, Colgan’s Brewery and Experience Gaelic Games, this great event is made possible by the support of the GAA and the Department of Foreign Affairs (DFA) in Ireland via the Global Games Development Fund. 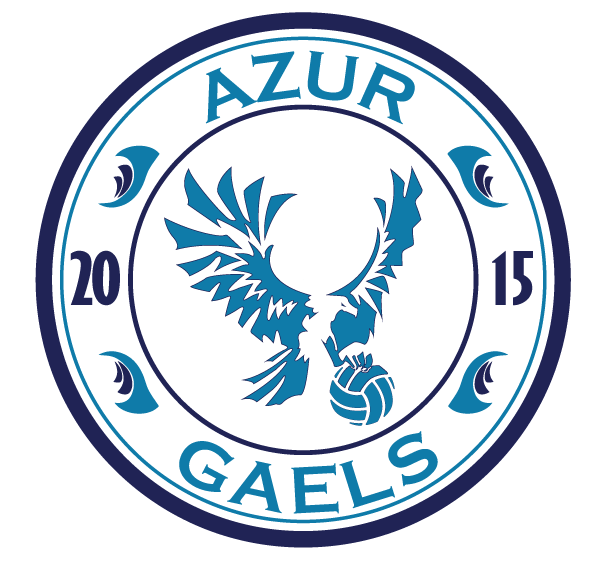 Come and experience Azur Gaelic Festival, where the games are thrilling and the craic is mighty! ← THE FRENCH GAELIC FOOTBALL CHAMPIONSHIP IS COMING TO THE RIVIERA!